When maximum maneuverability is crucial. Multiplexed tractor drawn aerial with increased tip loads, less weight, & improved set-up capabilities. Our Ascendant Class of Aerials also includes a tractor drawn aerial configuration. The Ascendant heavy-duty ladder on a tiller configuration offers numerous advantages and performance enhancements – resulting in longer reach both vertically and horizontally, higher tip loads, and higher flow ratings. 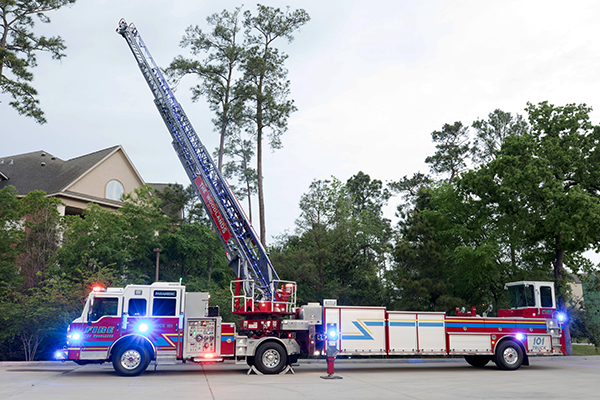 You’ll still have all of the same performance characteristics of the Ascendant heavy-duty ladder that you’re accustomed to – 107' vertical reach, 100' horizontal reach, 750 lb tip load, 1,500 gpm flow without compromising on water capacity, performance, or safety. We’ve improved your set-up capabilities by increasing the allowable jack-knife angle to 60°. We’ve also reduced the overall vehicle weight of this configuration by 4,000 lb – giving fire departments more flexibility with their configurations – whether it be lighter axle ratings, increased water capacity, or more storage options. When maximum maneuverability is crucial, the Ascendant 107' tiller excels at getting you to the scene quicker. TAK-4 Independent Suspension comes standard on both the front tractor axle and the rear trailer axle for a smoother ride, better handling, and impressive cramp angle. Flow Capacity 1,500 gpm Hosebed Capacity 1,000' of 5"
The Ascendant 107’ tractor drawn aerial configuration improves set-up capabilities by increasing the allowable jack-knife angle to 60 degrees. 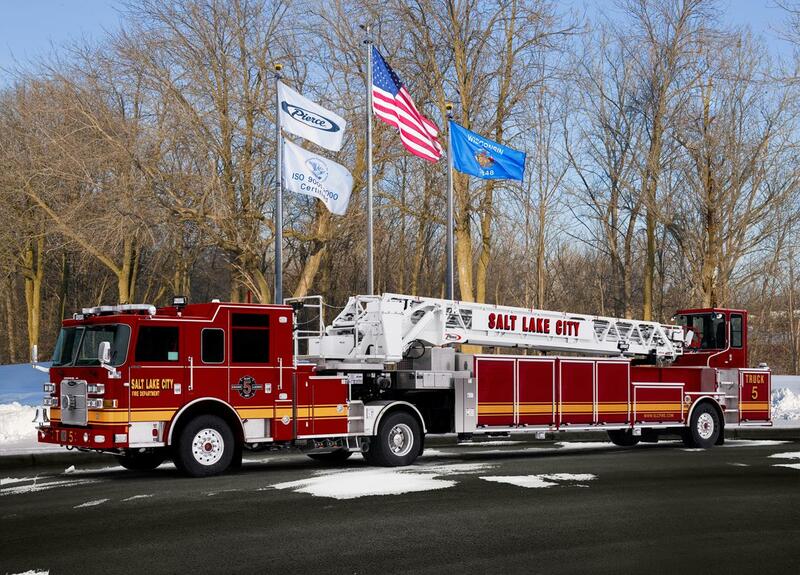 The Ascendant Tiller provides fire departments with 107’ of vertical reach and 100’ of horizontal reach. The overall vehicle weight of this configuration has been reduced by 4,000 pounds - giving fire departments more flexibility with their configurations – whether it be lighter axle ratings, increased water capacity, or more storage options. Departments can store up to 500 cubic feet of equipment.